New (Hardware?) 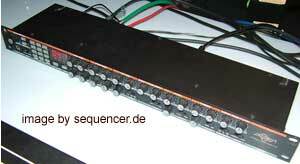 Sequencer announced (fake?) names Rhizome. There’s a VST Label (so this looks like „no mac“), maybe something hybrid like Maschine or a PC with Knobs -> a real instrument or..? Rhizome music by Feeltune – The ultimate groove machine. Weiter MFB MEGAZWERG Synth – Kraftzwerg Bro‘!